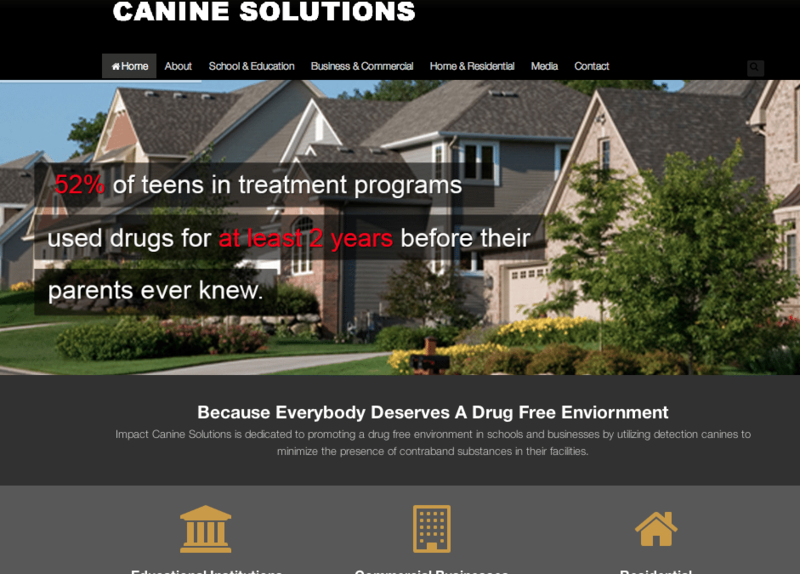 BHM recently designed a brand new website for Impact Canine Solutions of La Crescenta, California. Impact Canine Solutions (ICS) is the premier drug detection canine service provider for schools, businesses and juvenile detention centers. ICS has industry leading canine handlers and drug detection dogs in the business. Their teams are certified to search for and detect minute quantities of an extremely wide range of substances such as marijuana, hashish, cocaine, crack, heroin, pharmaceuticals, as well as alcohol.